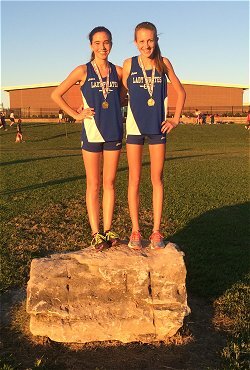 The Charlestown Lady Pirate Cross Country team ran in the annual Silver Creek Invitational Tuesday evening. 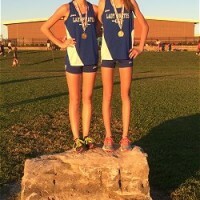 The Lady Pirates team finished 6th out of 19 teams, led by Katie Rhodes and Whitney Andrews; both who had medal finishes. Rhodes finished in 12th place and Andrews in 19th place respectively. The Lady Pirates did well, even without their 34 runner Gabi Gagnon, out nursing an injury. “I’m very proud of our runners, the field was full of very strong with some of the top runners in the area”, commented Charlestown Head Cross Country Coach Jerry Doyle. The Cross Country team is scheduled to participate in the annual Madison Invitational this Saturday.